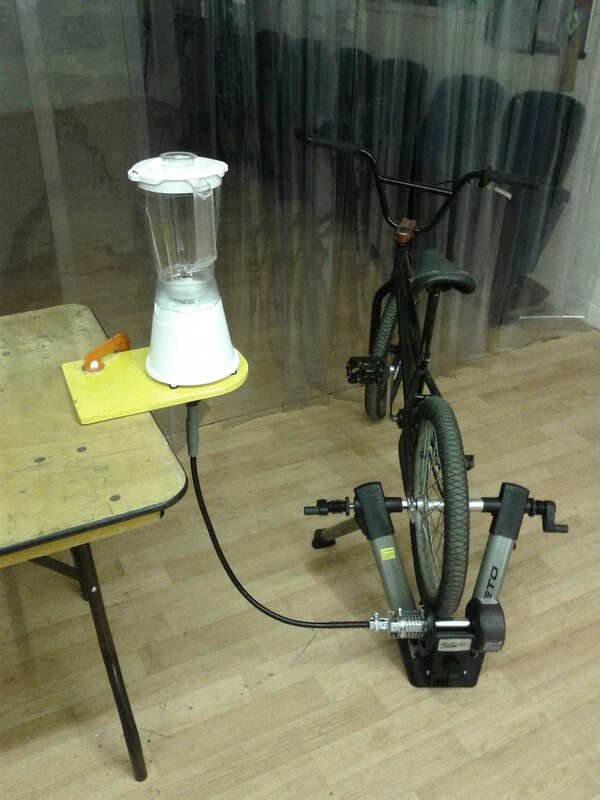 I’ve recently finished work on another pedal powered smoothie maker. This time its a bit different: its designed to fit 20″ wheels of BMX bikes. This was commissioned by London Bike Hub (who already have a large pedal smoothie bike, pedal powered scaletrix and a pedal powered electricity generator from me). They wanted a smoothie bike that was more accessible to younger folk with shorter legs. Here are some photos and discussion about the build and finished unit. This is the finished device. 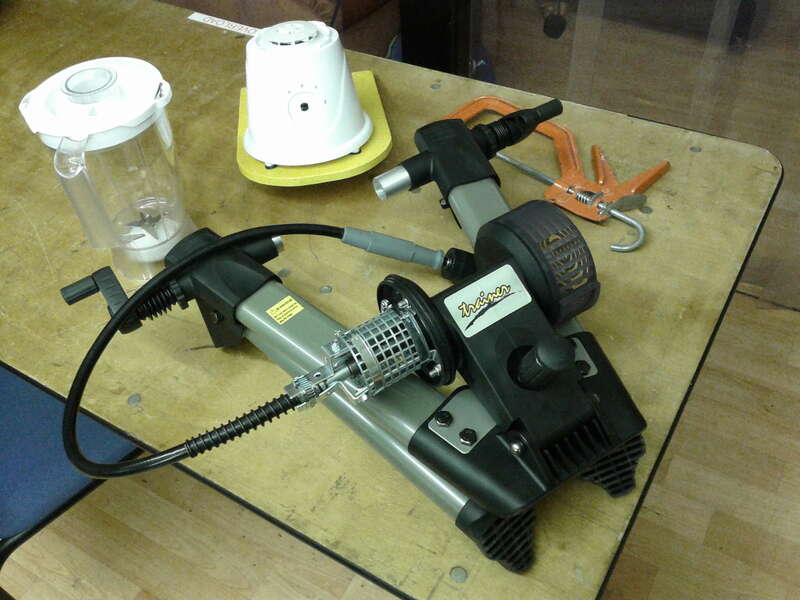 I used a cut-down BETO turbo-trainer stand, a flexible drive for power transmission from the wheel and an old liquidiser with the motor removed. The main details are in an Instructable I wrote, but this has a few bespoke bits. 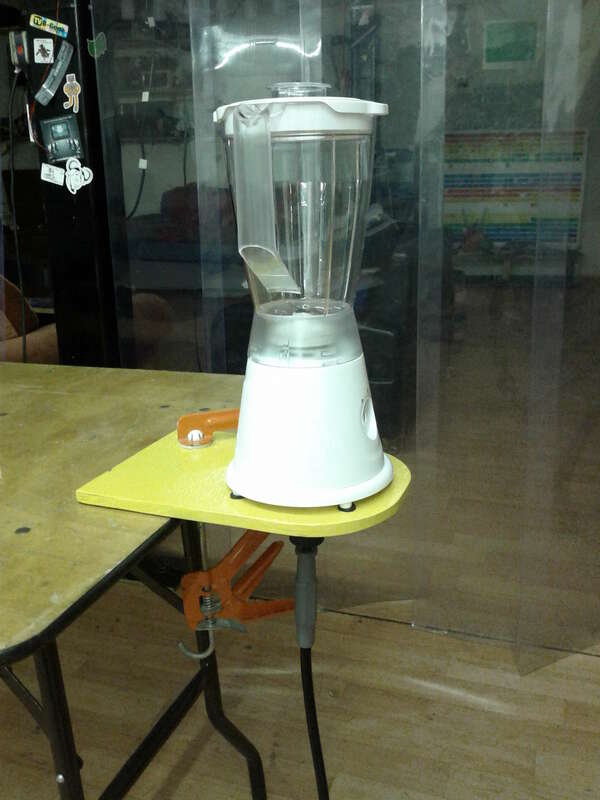 The smoothie machine is bolted to a piece of wood and then clamped to a table when needed. Close up of the roller – this has a machine coupler to connect the drive roller with the flexible drive. I have used grub screws with thread lock to hold them in place. 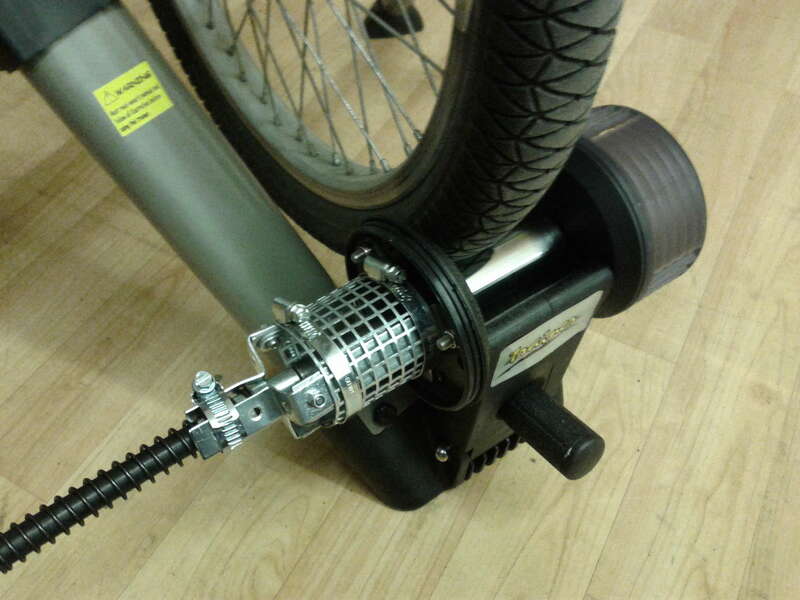 The BETO trainer is designed for 26″ – 700mm diameter wheels. It needed to be cut down so that it fitted 20″ bike wheels. This was an relatively easy job as the tubes just un-bolted and could be cut with a metal saw. 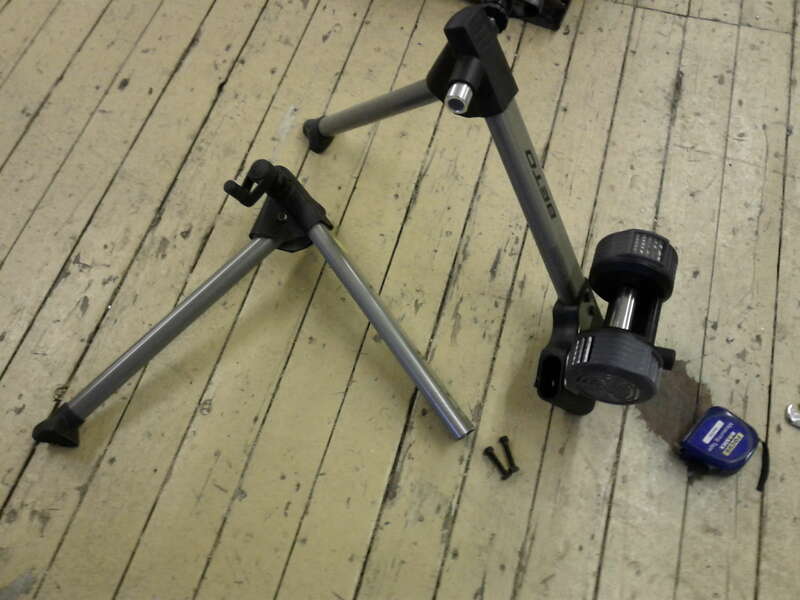 The problem was that the width at the top becomes smaller as the stand is made shorter. This meant there was not enough room for the bike back wheel axle. I solved this by cutting away some of the plastic on each side and machining some new “nut holders”. These were a bit shorter and also wider (as BMX bikes have 22mm wide nuts rather than 18mm wide ones on larger bikes). This turned into quite a bit of hassle, but was a useful exercise for me to learn more about using the metal lathe at Nottingham Hackspace. Also the smoothie maker I obtained was not an easy one to convert. It had a very short motor axle and hence I also needed to machine an extension bar for this, which can be seen above. 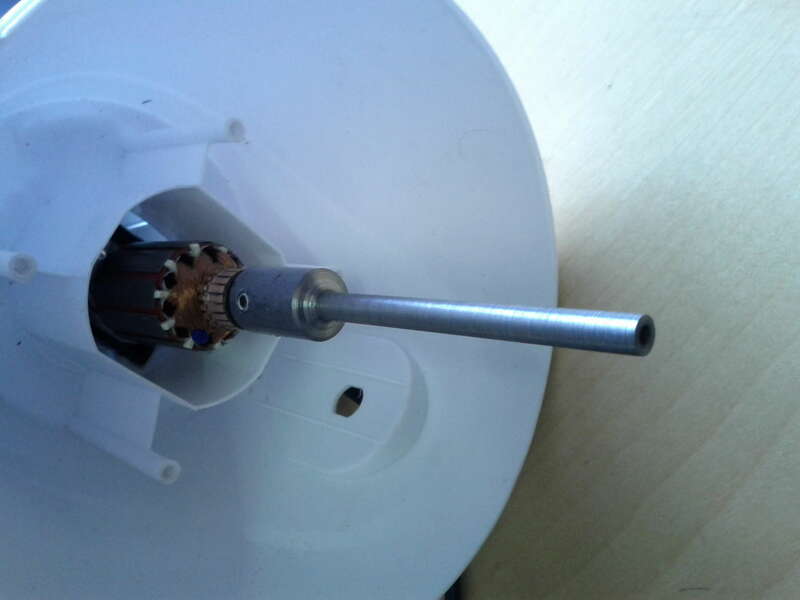 This was also done on a metal lathe (I’ve got better at metal work…) and also uses a grub screw to hold it to the motor shaft. This conversion needed quite a lot of fiddling. This was an Argos own-brand smoothie machine. I would suggest using a Kenwood machine, which was easier to perform this conversion. Hi, this is exactly what I am looking for, how much would you charge for the smoothie maker? At present we are not building/supplying smoothie bikes. We are focusing on electricity producing pedal power systems and displays.